I love watching football... well, college football anyway. And especially my favorite team, and alma mater, the University of Missouri. 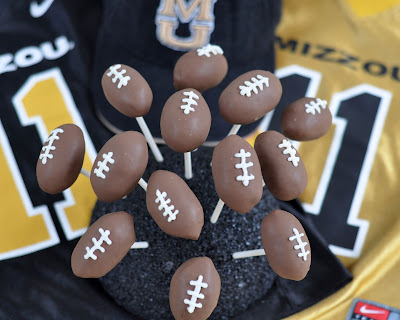 I also think it's very important to indoctrinate the children into the football love, and the Mizzou love. So, giving them sweet things with a requirement that they complete the phrase 'M-I-Z'... with 'Z-O-U'... seems to work. These football cake pops are super easy to make. 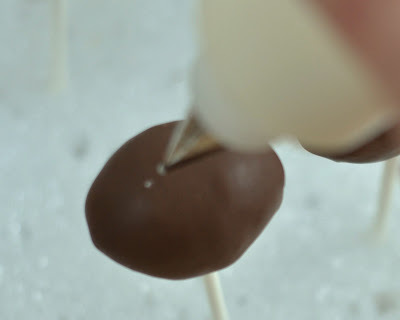 If you've never made cake pops before, click the link to see my complete tutorial on how to make cake pops. To make the football shapes, you need to crumble your cake into small crumbs, and add enough icing to allow the cake to stick together. I make the footballs a little larger than my regular cake pops, so I use two scoops from my 1 tsp. dough scoop . Roll the two of those into a compact ball. You can see the difference in the texture between the original scoops and the ball above. 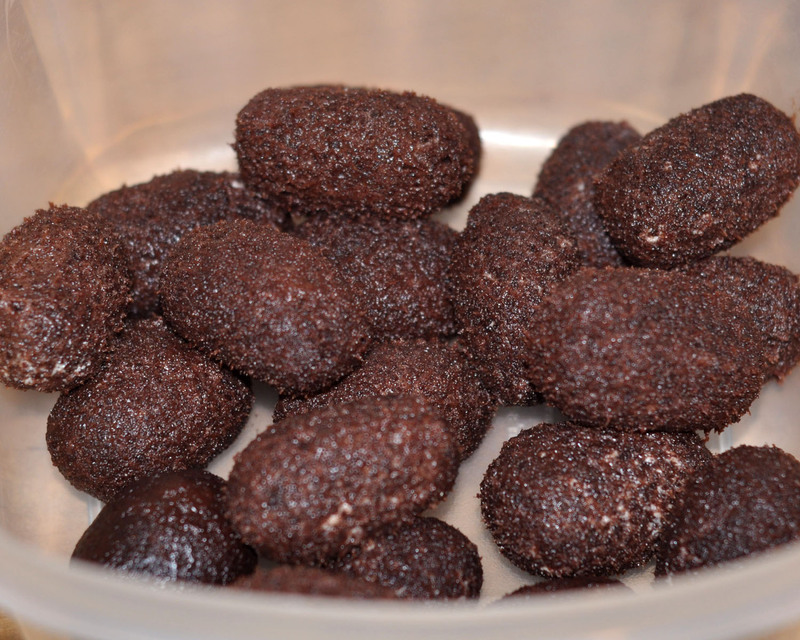 *Note: I actually added too much icing to this batch of cake pops, so they look a little sticky. They are. Don't be me. Add the icing a little at a time. Working with cake pops that have too much icing in them is really a pain! After you've shaped the ball, getting the 'dough' into a compact shape, then roll it into more of a cylinder shape. 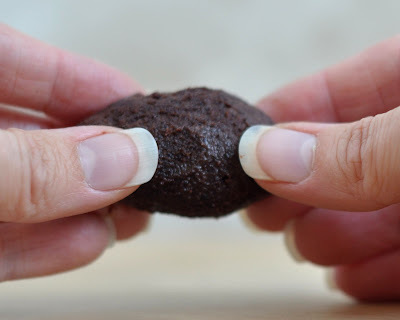 If you haven't added too much icing, you may be able to further shape them into footballs by using your fingers to pinch the ends as you see above. If you did, like me, you can taper the ends, after you've refrigerated them. Refrigerate your football shapes at least three hours or overnight. 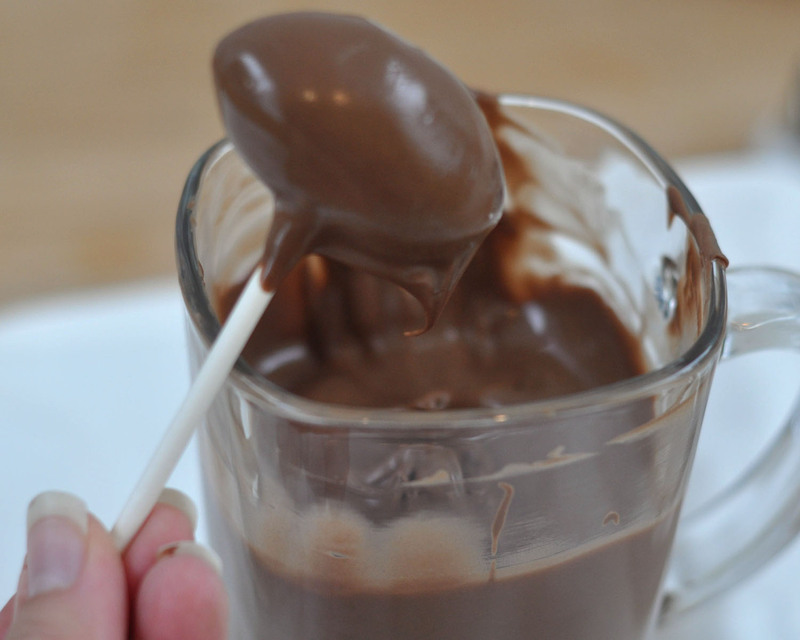 When you're ready to dip, melt the chocolate candy in the microwave with about 1 Tbsp. of oil per bag of melts. I use power level 3, stopping to stir every 30 seconds. You never want the melts to get hot, just warm. They are ready when they are just melted. 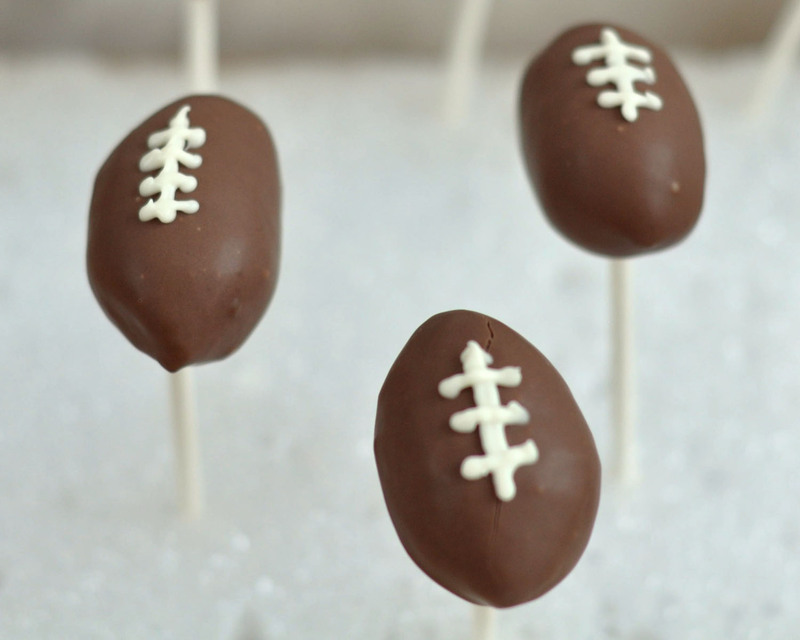 To dip the footballs, always start by dipping your lollipop stick in the melted candy before you insert it into the shape. These footballs are a little more dicey to stab with the stick because they are so long and skinny. 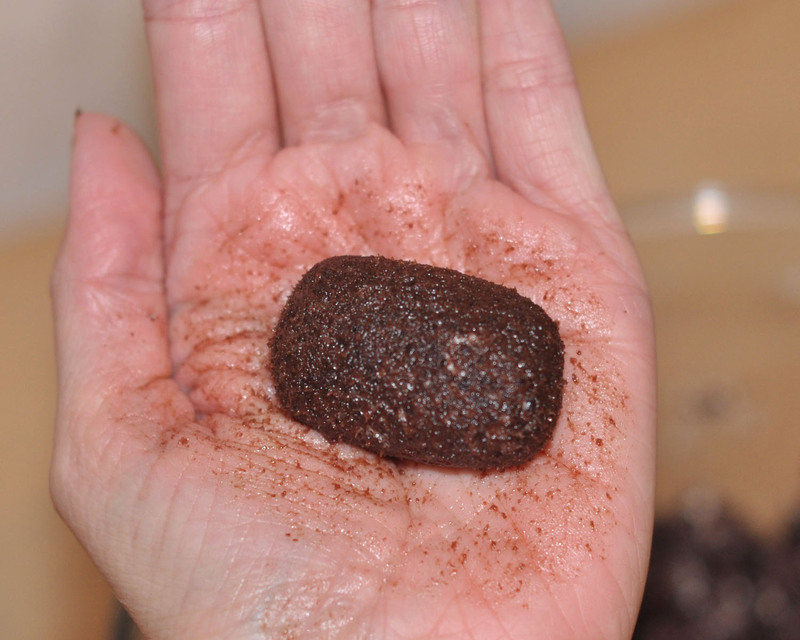 Be careful that you don't stick the stick all the way through the cake ball. 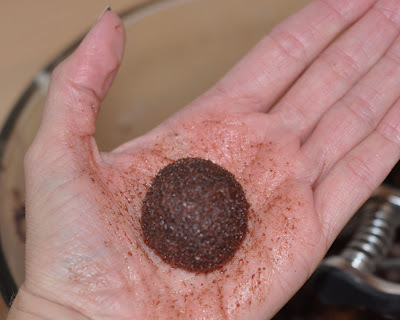 *Note, when it's warm in my kitchen, I use an ice pack underneath the plate of cake balls to keep them cool while I work. I also only work on about 5 cake pops at a time. Dip the cake pop quickly in the chocolate, being careful not to twist it. If you need to get better coverage, lean the pop side to side. 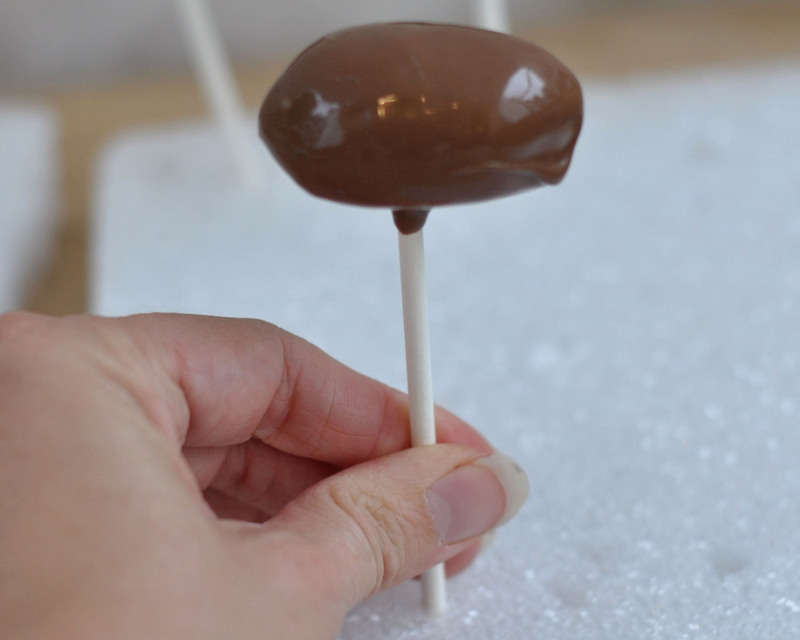 If you twist or twirl the stick, your cake pop can easily fall off of the stick. Gently tap the stick against the side of the mug, holding the pop at an angle like you see above (stick below, pop above). 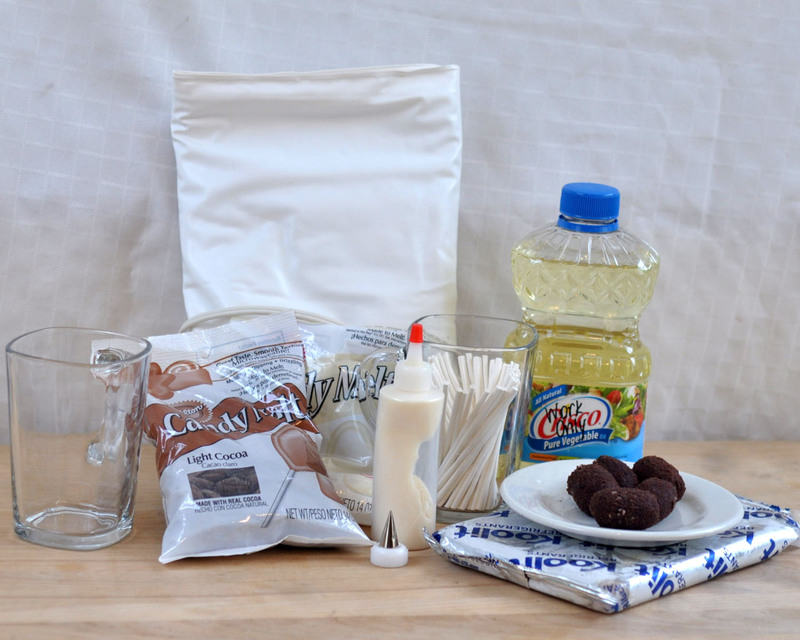 This gets the extra candy off, and helps keep the big drips from forming on the cake pops. Insert the stick into the styrofoam, and let the candy set- this only takes a few minutes. I had a hard time with mine cracking on these. I think my white candy was too warm. Be careful that you don't overheat your candy. And don't stick the pops back in the fridge between dipping them and adding the laces. That temperature difference will crack them, too. When you click on these links to shop at Amazon.com, you support this blog and its content. Thank you! 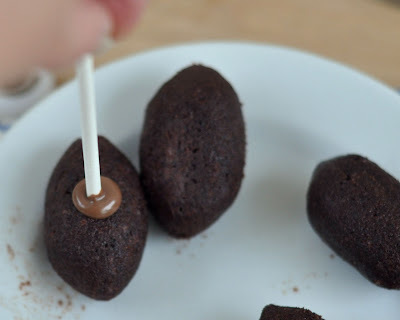 Could you make the cake pops into domed shapes so they don't need a stick? You know, sort of cakey bon-bons? 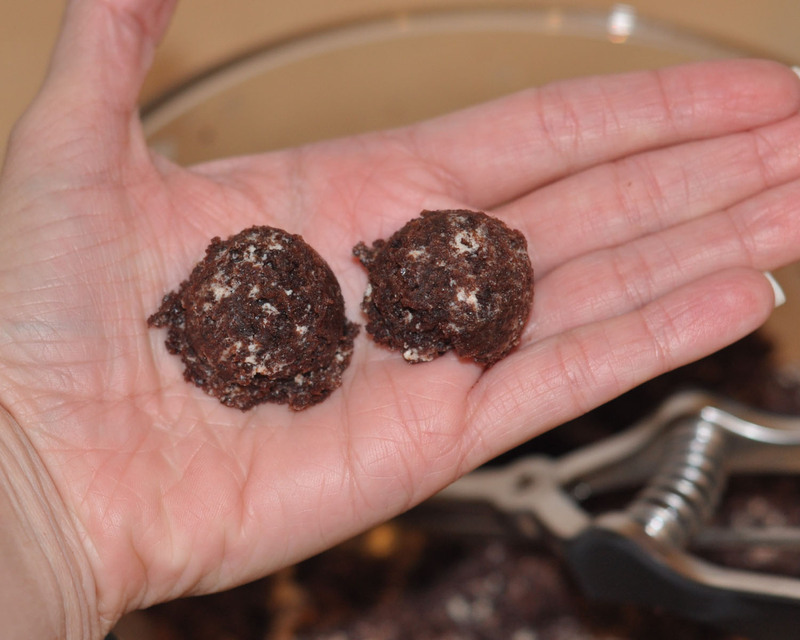 You absolutely can make them more like little truffles than like pops. 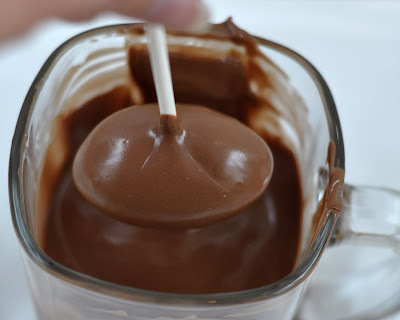 I drop them in the melted candy, then I prefer to use a fork to get them out... tap the fork on the side of the mug as you do with the stick, and let them dry on waxed paper. The challenge is that sometimes they get a rather unattractive pool of chocolate around them.